NEW YORK—Wood. Give contemporary artists from around the world a common, diverse natural material and the creative interpretations are infinite. 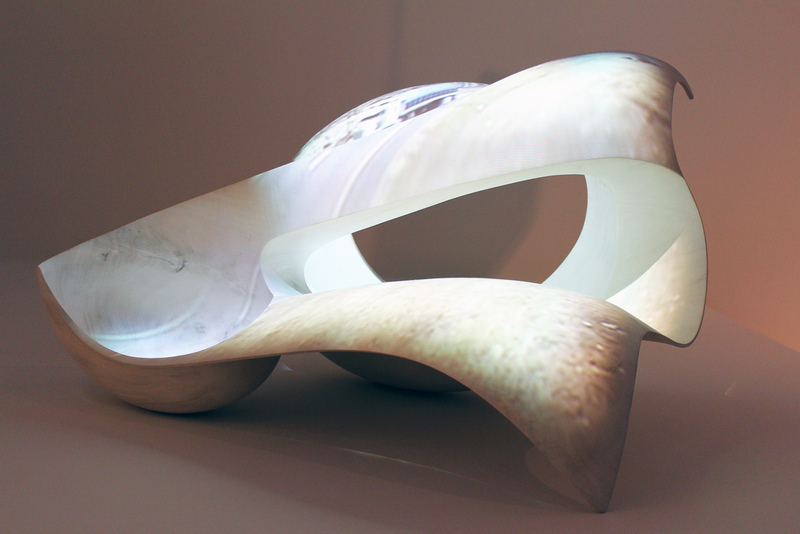 From hand-crafted techniques to computer-aided design, “Against the Grain: Wood in Contemporary Art, Craft and Design” at the Museum of Arts and Design explores the possibilities. 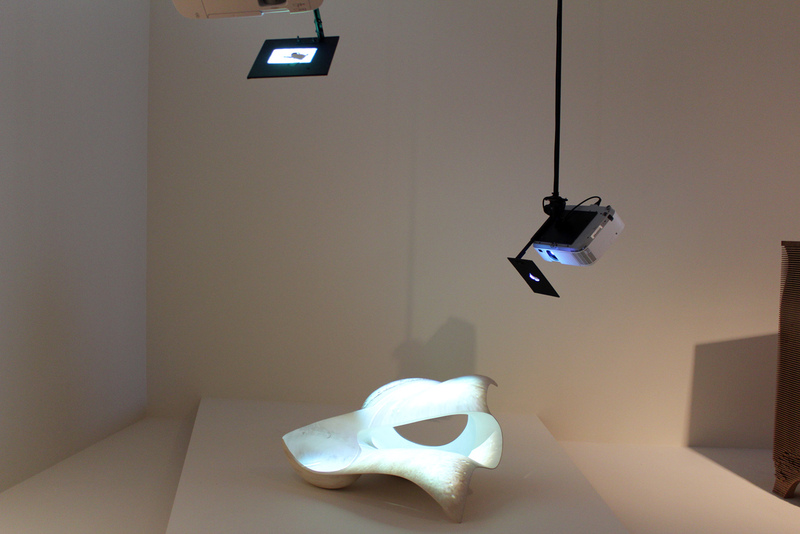 Spread across two floors, “Against the Grain” is on view at MAD from March 19 to Sept. 15, 2013. See more images from the exhibit here and here. 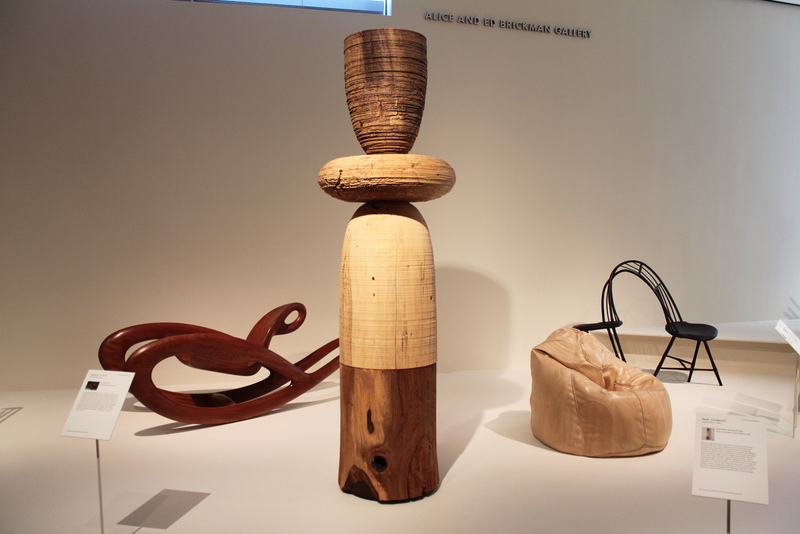 From left, “Ghost Rider,” 2010 (Bubinga wood with oil finish) by Wendell Castle of the United States; “Silent Witness #4/Gepetto,” 1993 (pecan, tulip poplar, walnut; lathe-turned) by Mark Lindquist of the United States; “Come Together,” 2002 (laminated jeutlong) by Rick Swallow of Australia; and “A(typical) Windsor Form,” 2004 (steam-bent ash, white oak, pine, milk paint) by Christopher Kurtz of the United States. 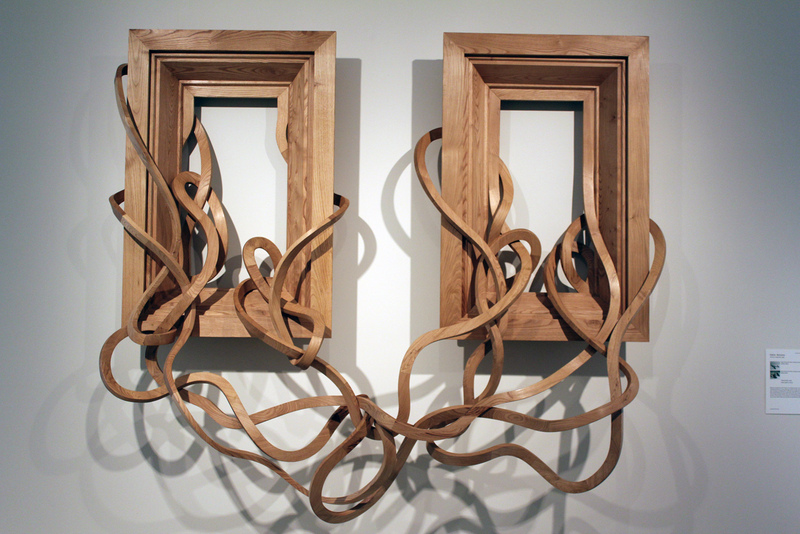 “Two for Tango, Fontainebleau Suite,” 2012 (wood) by Argentinian-born Pablo Reinoso of France. From top, “Food #3, Sheep,” 2008 (Vera wood, gold leaf, Swarovski crystals) and “Hominid/Chimpanzee,” 2011 (Vera wood, Swarovski crystal), both by Laurel Roth of the United States. 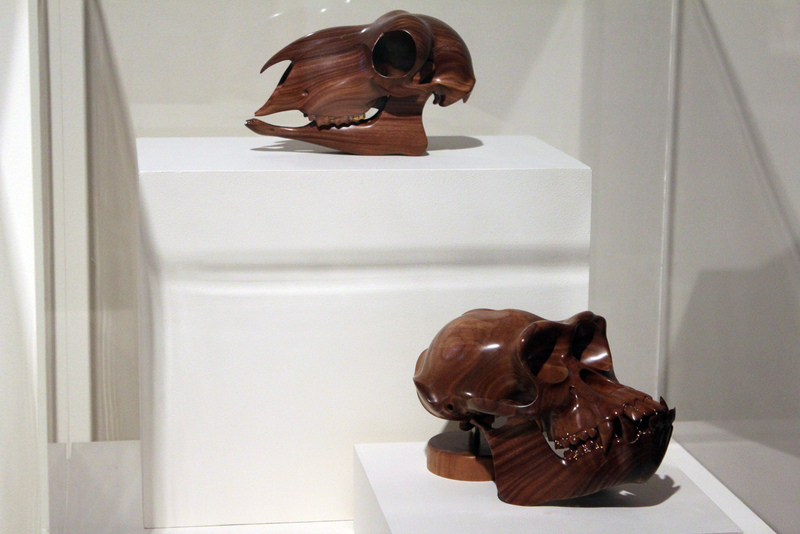 According to the museum: Roth’s “exquisite carvings of animal skulls relate to issues around industrial agriculture and food politics…’Hominid/Chimpanzee’ represents animals that are exploited for scientific knowledge and ‘Food #3,Sheep’ those we both rely on for clothing and consume as food. 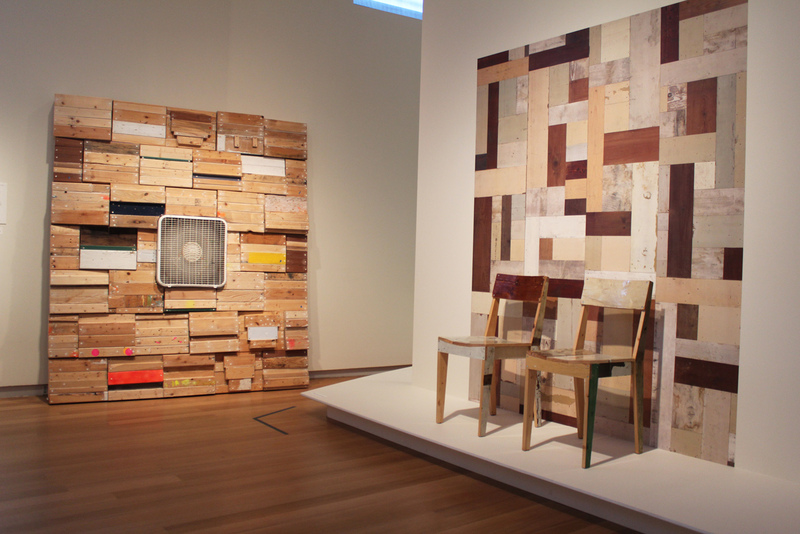 From left, “A Custom Sabotage by Metered Events (Inspired by Dwayne Johnson’s Mouth),” 2011 (mixed media) by Phoebe Washburn, has a mysterious reference to wrestler/actor “The Rock” and “Oak Chair in Scrapwood,” (2) 2007 (scrapwood) by Piet Hein Eek, with “Scrapwood Wallpaper,” 2010 (paper) courtesy of NLXL of the Netherlands, in background. “R.E.C. 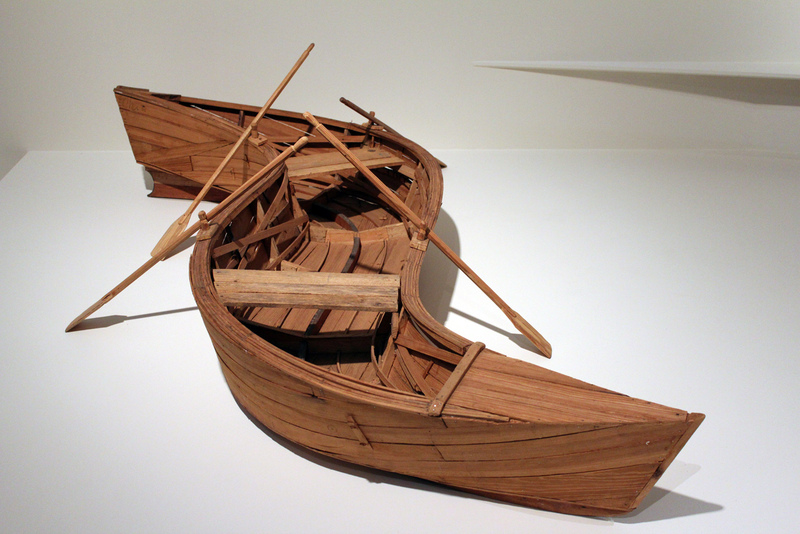 (Rectifying the Course),” 2006 (wood) by Kcho (Alexis Leyva Machado of Cuba). 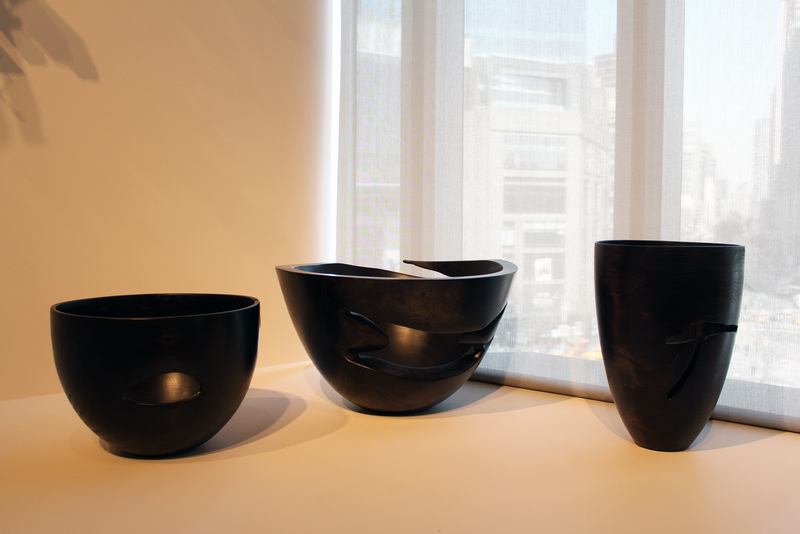 From left, “2569,” “2567,” “2573,” all 2012 (ebonized jacaranda) by Andrew Early of South Africa. 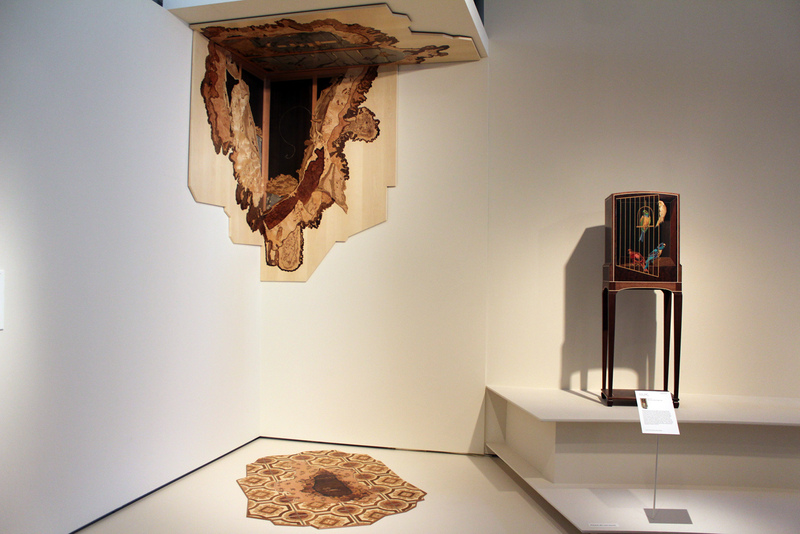 Two works created using marquetry technique: Installation at left, from top, “Top Left On,” 2009-10 (wood veneer, shellac) and “Armstrong Congoleum II,” 2012 (wood veneer, shellac) both by Alison Elizabeth Taylor; At right, “Parrots,” 2011 (wood, brass, mother-of-pearl, stone) by Silas Kopf.  “Traffic,” 2009 (two video projections, wood) by Hunt Clark of the United States. 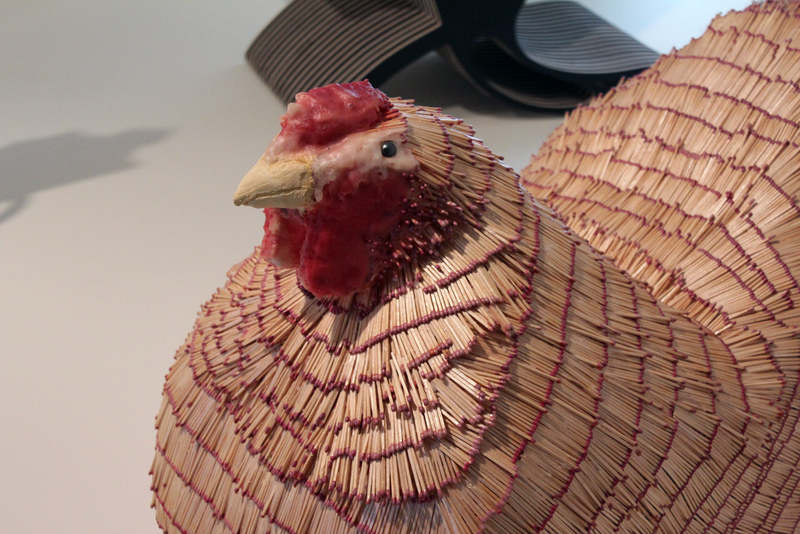 Detail of “Malcolm’s Chicken 1,” 2002 (styrofoam, matches, brooms, wax, marbles) by Willie Cole. 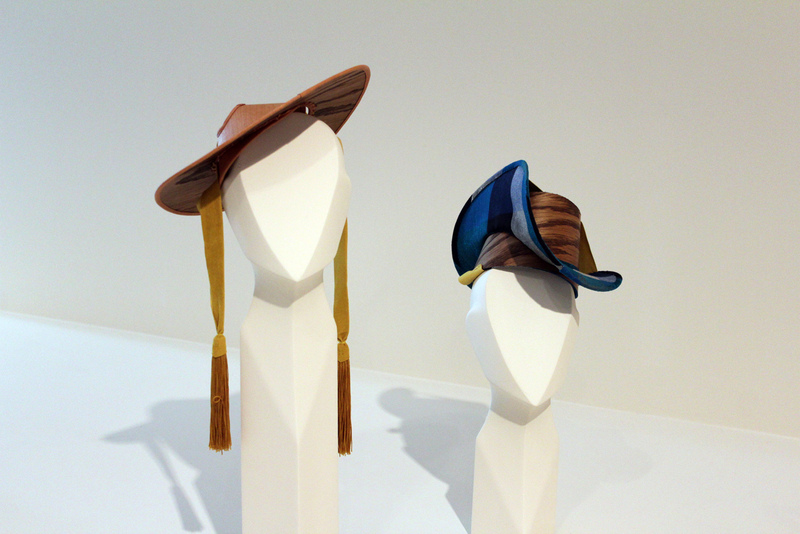 From left, “Timber!,” 2012 (oak, cherry, leather, silk tassel) “Nelson,” 2012 (oak, leather, silk mix) both by Elizabeth Moody of Moody & Farrell in London. Nice coverage of a great exhibition! Unfortunately, you have mispelled Mark Lindquist’s name under “Tags” at the bottom of the article – (Mark Lundquist) which will do neither Lindquist nor the museum any good. Is it too late to fix it? Thanks for the great overview! Excellent! Corrected. Thank you for pointing out the error.